You may not know this about me but my vision is horrible! Most of the time I wear contacts in public because I'm a tad insecure about wearing glasses. I can remember getting made fun of as a kid in school and I guess those memories of glasses have always stuck with me. This past year my insurance covered a pair of eye glasses so I thought it was the perfect chance to get a super cute pair of glasses that I would hopefully feel comfortable wearing out and about. Eye glasses, just like sunglasses, go in and out of style with the trends. The past few years have seen a rise in the "Nerdy Chic" trend. I love this style because I have a rather large face and the larger frames actually fit. This style goes great with casual and preppy outfits making my new glasses more of a fun accessory than a mandatory instrument for vision. My glasses are by Nicole Miller. The style is Hudson in color Brown Horn/Gold. These particular frames were made to be sunglasses but my optometrist was able to swap out the tinted lenses for my clear prescription lenses instead. You can find just the frames for about $75 on ebay but I found a new website that is offering free glasses for new customers and they have frames almost identical to mine! 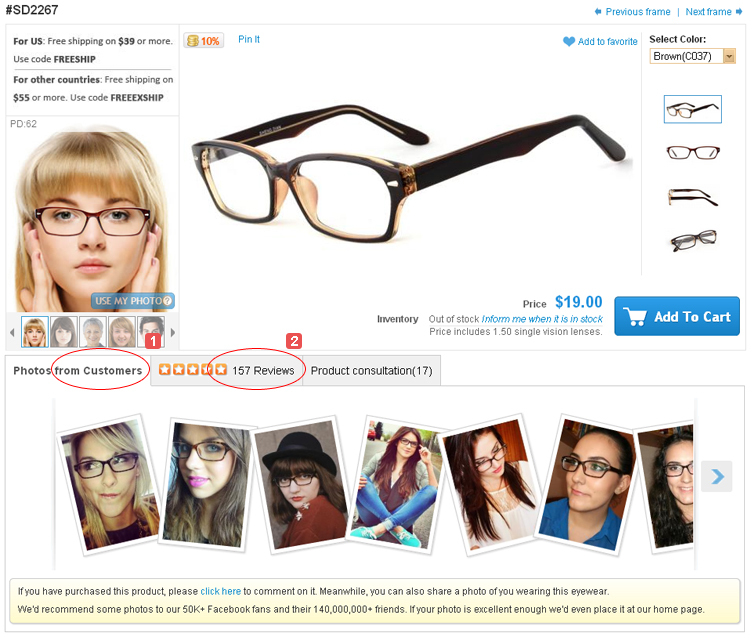 (Style #SD2383) If you order the glasses without prescription or upgrades they are completely free! I'm ordering new frames just to try out and all I had to pay was $6.95 for shipping. Score. Below are some images of different styles they carry and all the info you'll need for your free pair of glasses! 1. 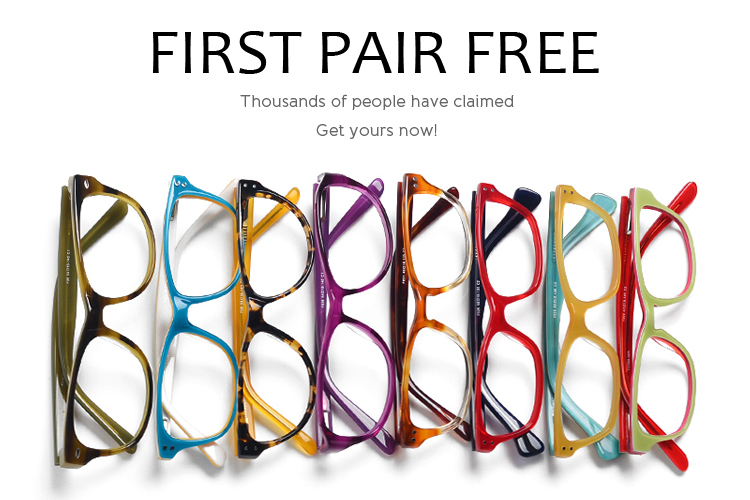 New Customers get your first pair free at Firmoo.com right now! 3. 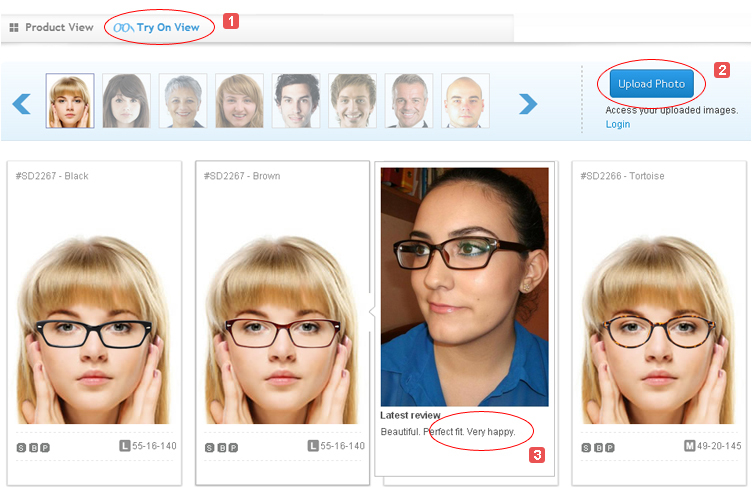 When you move the mouse over your favorite glasses, you'll find some users wearing the pair on the right side of the page which will be a great reference. 2. Take more customers feedback for reference. Let me know what style you guys get! I'm the most comfortable with my nerdy style but I'm thinking of getting something a bit more retro as well... maybe a slight cateye shape or circle frames. Also, I really like the "virtual try-on" system that they offer. The only problem is that you REALLY need to use a straight on shot... like super straight on. Most people don't have a perfectly symmetrical face so a slight angle usually looks best in pictures. It is because I'm super aware of this fact and my features that I very rarely take a straight on picture. I had a rather difficult time trying to find a picture that would work with their program but I got it to work well enough that I had a pretty good idea of how each style would look on me. I predict that more online retailers will start using virtual programs like this. Thanks so much for stopping by my blog! I most several times a week so come back soon! This was a sponsored post from 4sponsor.com with my unbised thoughts.